All I wanted for my 21st birthday was a sewing machine, with no prior sewing machine experience this seemed an odd request by my loved ones. Quilts started calling my name like little whispers.... "you can do this." With an engagement ring on my finger, I knew that I wanted to make a wedding quilt for my soon-to-be husband. 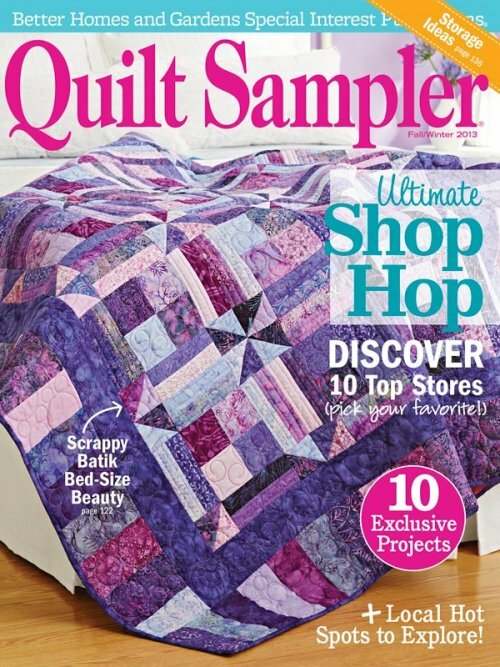 I started collecting magazines with quilts in them and dreamed of creating one. My biggest fan, my Ma-ma Jeanette, bought me my very 1st sewing machine for my 21st birthday. About 2 years later I completed my first quilt top with a lot of ripping out and redoing... but THANK GOD it was complete. I had it quilted by a local lady that did an edge to edge design on her ancient long arm dinosaur machine. I gave that Quilt to my now husband on our wedding day, it was used a lot and now has a special place in my quilt display case. I woke up about 5 years later and found myself quiting my teaching job to be a stay-at-home mom. I quickly realized that I needed something to do besides changing dirty diapers. I got out that sewing machine and started creating again. 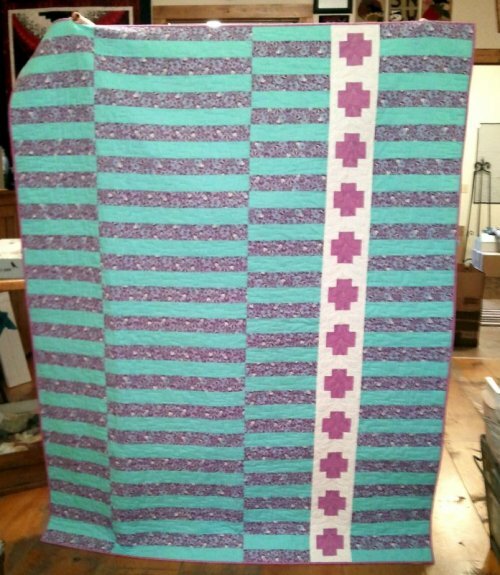 My Ma-ma Jeanette, recently retiring from nursing, had also got the Quilting bug and was making quilts like madness. She was collecting fabric by the buckets and visiting any Quilt Shop that would allow her in the door. TODAY... we are screaming from the heaps of fabric piles... "WE ARE A TOP TEN QUILT SHOP!" BUY A SIGNED COPY OF THE MAGAZINE HERE for only 6.99! 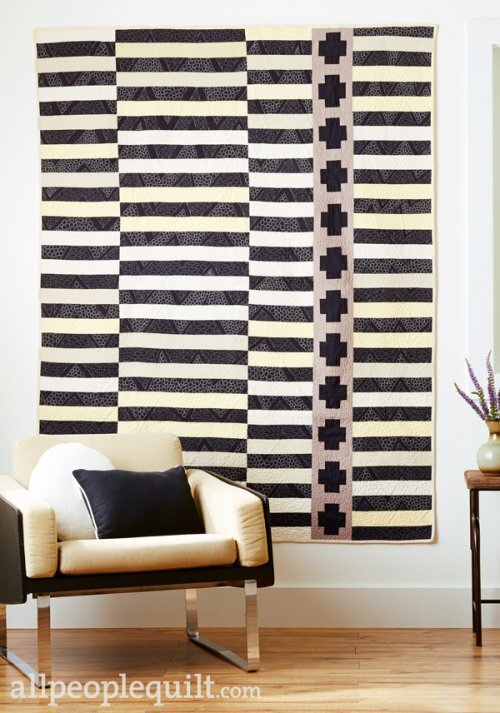 BUY THE QUILT KIT On the Straight and Narrow by Megan Frock HERE for only $59.89! Photo used with permission of Quilt Sampler Magazine. Meredith Corp 2013. Thanks for supporting us! It is our mission to encourage success!